, which will now act as a direct competitor to SBS. SBS stated it will provide a broader range of programming with a focus on "premium Australian distinctive content" exploring the world through cooking, cuisine and culinary cultures. The on-air promotion will also feature an array of local and international food faces that will feature on the channel. "SBS Food provides us with an opportunity to build on SBS’s 30 year legacy in food, giving audiences more of what they love to indulge in," SBS director of marketing Jane Palfreyman says. “The look and feel of SBS Food is fresh, fun, bold and tantalising, much like the programs that will air on the channel. 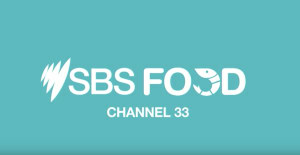 Our inclusion of the Mercator in the logo solidifies SBS Food as an important part of the SBS family, and through our on-air promotion we wanted audiences to get a real taste for the famous faces, fantastic shows and fresh food that the channel will bring all Australians for free from 17 November." SBS Food will continue as a free, 24/7 channel on channel 33, alongside SBS, SBS Viceland and NITV. As well as extending the SBS Food offering available on the SBS website, content from the channel will also be available on SBS On Demand. The new brand design, including the on-air promotional spot which is running across SBS channels, was produced in-house by SBS. SBS has revealed plans to focus on developing a local content-heavy strategy ahead of the relaunch of its dedicated food channel SBS Food, taking place on 17 November. The relaunch follows the end of its long-term agreement with American broadcaster Discovery, which, up until earlier this year, provided exclusive international content from its own dedicated food channel, The Food Network. 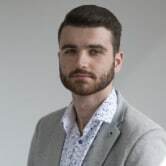 Since then, Seven has acquired the rights to that deal, announcing at its recent Allfronts event that it would be launching its own multichannel, 7Food, which will now act as a direct competitor to SBS.